EDAMA Association took an integral part in; the 4th Jordan International Energy Summit. 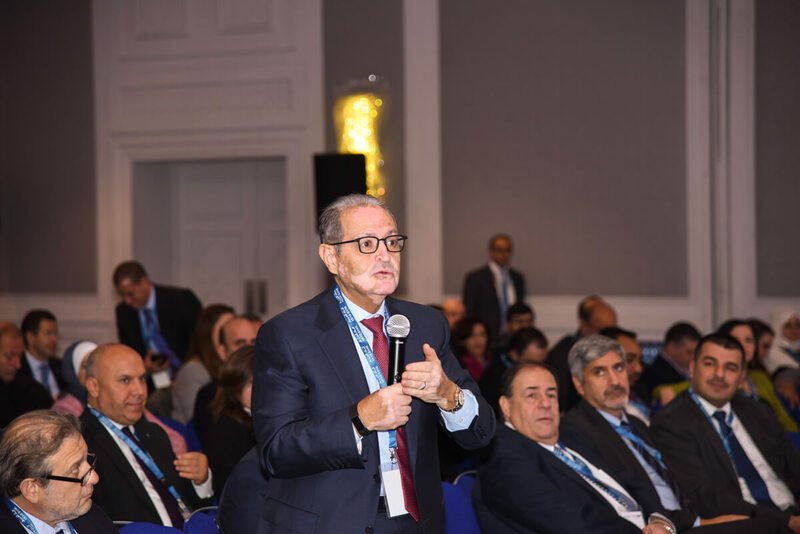 The summit was a two-day event starting Tuesday, 11 Dec. 2018, at the Grand Hyatt – Amman. The summit was attended by cross-sectoral participants who positively interacted with the topics being discussed. During the summit, many valuable topics were discussed, including the diversity of Jordan’s energy mix, Jordan’s mining potential, Local content and the socio-economic impact of energy , Finance for Renewables Presentation Session, Investment and lending opportunities in Round 3 – solar and wind energy projects, Young Achievers in Sustainability across the Energy Ecosystem . EDAMA Chairman of the Board Dr. Dureid Mahaseneh presented the – Solutions to future water shortage and security challenges in the presentation session. Furthermore, Dr. Mahasneh presented the closing speech of the two-day event to conclude the Jordanian energy, water, and environmental scene.